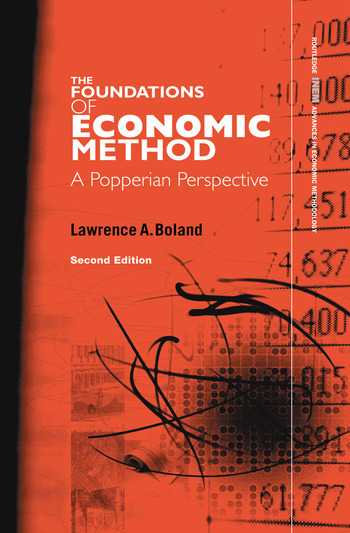 Many consider Foundations of Economic Method to be Lawrence Boland's best work. This updated edition is radically changed from the original and will be much appreciated by thinkers within economics. The book positions methodology vis-à-vis the current practice of economists and is all the better for it. Yet another book that not only deserves to be read by those within the field of economic methodology, but also by those involved in economics at all. Boland is back. Lawrence A. Boland is Professor of Economics at Simon Fraser University, Canada. He has published widely within economic methodology and is a fellow of the Royal Society of Canada.